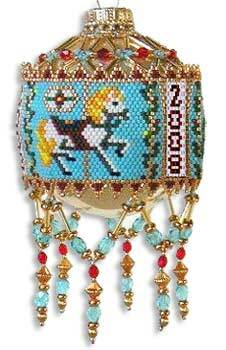 Originally designed in 2003 for Bead & Button&apos;s 10th anniversary. I thought it would be fun to update the design & share an excerpt with our readers on our 3rd anniversary. Use even-count peyote for the band and add brick stitch points. Enjoy!